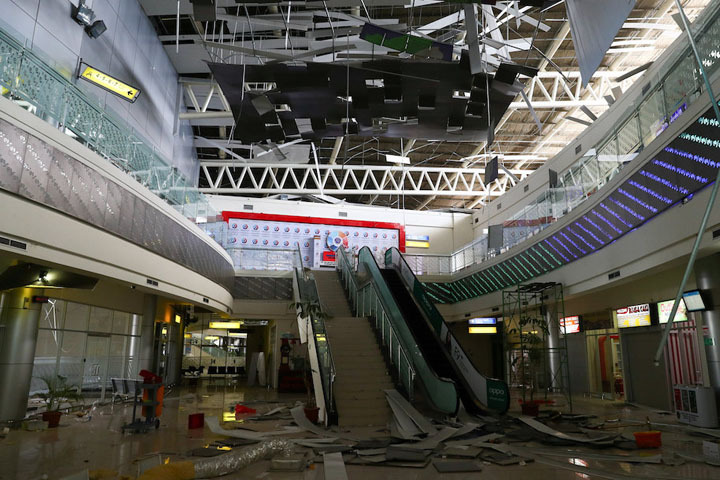 God told Pilot to takeoff, seconds later, earthquake struck Palu, Indonesia - John15 Rocks! Pilot Ricosetta Captain “Icoze” Mafella broke protocol. He took off 3 minutes earlier than scheduled from Palu Airport, Indonesia. Captain Mafella had been feeling uneasy all day. On his flight from Ujung Pandang to Palu airport, he decided to sing Christian songs aloud to unease his tension. “Usually I only hum, but that day I wanted to praise the Lord as best I could,” he said. 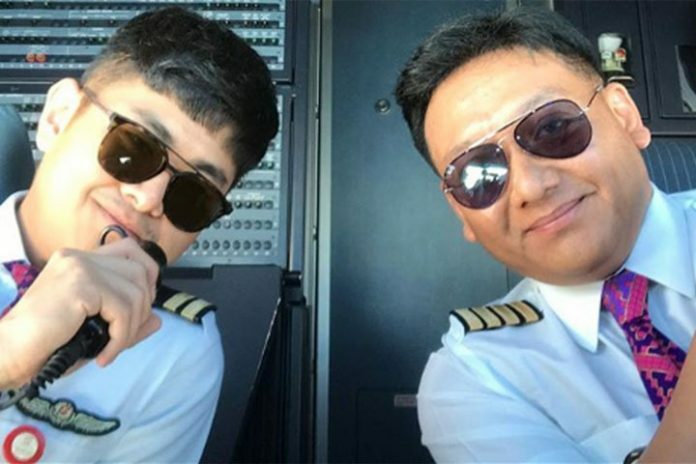 His co-pilot said he could make a whole album out of the songs he sang during their flight. → Go brothers mom loses all her sons to cancer, but her response is inspiring. As they drew closer to the airport, he felt God’s Holy Spirit telling him to circle again before landing. The airport is surrounded by two mountain ranges that were referred to as the “Valleys of Death.” Since it was always difficult to land in this terrain, Mafella would always be reminded of Psalm 23:4. He felt so uncomfortable even though their landing was perfect at Palu. He insisted to everyone that they should leave for Jakarta soon and shortened their break to 20-minutes, short of 10-minutes. Then he asked permission from the air controller if they can leave 3 minutes earlier. Anthonius Gunawan Agung from the central tower gave him permission for the early take-off. → Miracle boy from St. Charles Missouri, John Smith in freezing water for 15 minutes. Still tensed, he broke flight procedures and took over the co-pilot’s role just to speed up the plane’s take-off. His co-pilot began to notice that the plane’s body was swaying left and right and fear beset them, but Mafella hands were firmly pressed on the lever not wasting a second to take-off. Minutes after takeoff, Captain Ricosetta attempted to communicate with the Control Tower but there was no response. Then they noticed below that the sea was forming huge holes and the seabed slowly disappeared. Minutes after, a tsunami hit Palu. It was only when they arrived at Ujung Pandang that they learned that an earthquake of 7.5 magnitude struck the mountainous area of Central Sulawesi. The epicenter was only 48 miles from Palu. 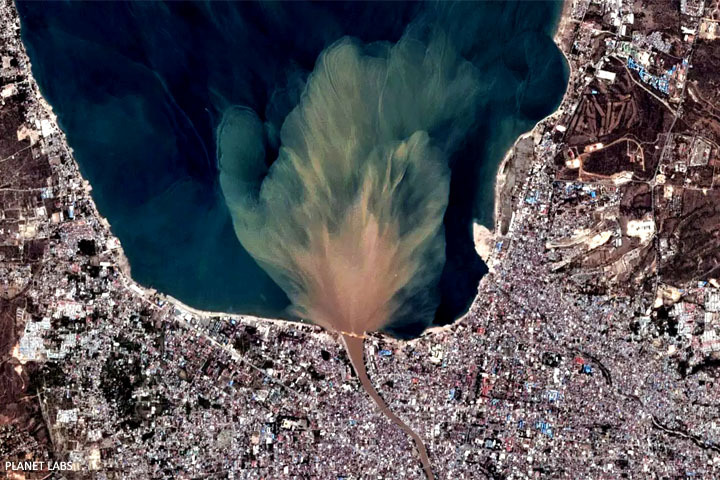 Upon their take-off, underwater landslides triggered a massive 10 to the 20-foot tsunami that swept through Palu and other coastal areas. At least 1200 people perished that day, Friday, September 28, 2018. Since he took off three minutes earlier from Palu airport, the plane avoided hitting the asphalt landing strip that rippled. They would have crashed and burned. Mafella’s Batik Air flight carried 140 passengers, lives were saved. Unfortunately, Mafella’s traffic control man who he called his “wingman” died. Traffic control personnel immediately evacuated the central tower during the earthquake, but Anthonius stayed behind to ensure that Batik 6231 took off safely. When he saw that it was airborne, Anthonius jumped from a fourth-floor window and suffered internal injuries and a broken leg. He died before a helicopter could take him to another hospital. When the quake happened, Agung was giving clearance to Batik Air 6231 to take off. Agung’s last words to him were: “Batik 6231 runway 33 clear for take off.” Then he jumped to his death. Predominantly Muslim, Indonesia’s spiritual awakening is growing by numbers. Although Christians are a minority and intense persecution rampant, many are coming to Jesus. The Indonesian government has long been rumored to coddle militant Islamists in violence against religious minorities, but the persecution has inspired many to stand up for their faith. The Holy Spirit is moving in this country. Pray for Indonesia.